The US should stay in the UN Human Rights Council but leave and defund UNESCO like President Reagan did in 1984. There is a discussion underway on whether or not the United States should remain in the UN Human Rights Council. 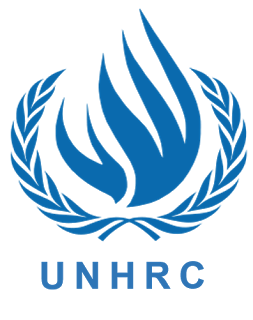 Recognizing that the UN Human Rights Council was founded on a small moral compromise that sacrificed human rights oversight in Belarus and Cuba in what UN officials called the dawn of a new era; that the worse of the worst have been elected to this human rights body and these bad actors have gutted human rights standards, furthermore that the moral authority of the Council has been compromised and there is an international human rights crisis due to the politicization of human rights by the radical left. This culminated in the UN Human Rights Council paying homage to the memory of Fidel Castro after he died in what was an act of moral corruption. It is understandable why some would want to leave the Council but that would be a mistake. This ongoing human rights crisis presents an opportunity for conservatives to save international human rights standards. Conservatives must reject the mistaken left wing narrative that claims that human rights emerged out of the French Revolution. The Revolution in France rejected traditions, established truths and declared war on the Church. The end result was terror, genocide and a military dictator (Napoleon Bonaparte) This would involve a public education campaign exploring the roots of modern human rights thought that stretches back to debates within the Catholic Church in the Middle Ages, and during the European Age of Discovery in the debate over the rights of Native Americans by the Salamanca School following Colombus's arrival in America to British liberties beginning with Magna Carta, conservatives who led the international anti-slavery fight in Great Britain such as William Wilberforce and Edmund Burke's conservative defense of Indian civilization offered an important contribution that considered the role of providence. Contrast this with the Obama Administration's pursuit of a radical agenda turning human rights upside down: declaring abortion a human right, was on more than one occasion not only on the wrong side of the human rights conversation but also taking (or refusing to take action) at the UN Human Rights Council. The Obama White House praised Raul Castro, refused to defend US sanctions on Cuba, although it is the law, but demonized Israel and and did not support them at the United Nations before resolutions presented by hostile countries. Obama's Cuba legacy is one of legitimizing tyranny, marginalizing dissidents and a dramatic escalation of human rights violations in Cuba. This trend has continued to manifest itself world wide throughout his Presidency with human rights deteriorating over the past eight years. To be fair this trend predated the Obama White House but only worsened during their tenure. If it were up to me the United States would stay in the UN Human Rights Council but engage in aggressive diplomacy placing the anti-American dictatorships in the Council on the defensive in public debates and in the bureaucracy. It is China, Cuba and Venezuela that do not belong on the UN Human Rights Council.The world's oldest continuous constitutional democracy, the United States needs to be on the Council to take the fight to human rights violators and expose their hypocrisy. Nevertheless, the White House should immediately pull out of UNESCO and defund it. The United Nations Educational Scientific and Cultural Organization (UNESCO) is so out of touch with what it mission should be that on June 18, 2013 it added “The Life and Works of Che Guevara” to the World Registrar. UNESCO is providing funds to preserve Che Guevara’s papers. Guevara in addition to promoting communist ideology, is best known as an advocate for guerrilla warfare who viewed terrorism as a legitimate method of struggle against an enemy. U.S. tax dollars are paying for some of this and they shouldn't be. Ronald Reagan defunded and left UNESCO in mid 1984 because the hard left was using it to spread its anti-American and radical left ideologies but George W. Bush brought the United States back into UNESCO after a twenty year boycott believing it had reformed and took the United States out of the Human Rights Council. 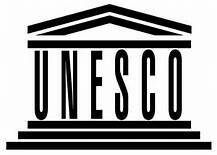 Returning to UNESCO was a mistake, the organization is back to its old tricks that are hostile both to U.S. values and national security interests. Meanwhile leaving the UN Human Rights Council would leave the attacks against the United States in this body unanswered and new resolutions set possibly pernicious to the United States. The Reagan Administration took the offensive on human rights after the US had played defense and they were successful in placing outlaw regimes on the defensive. As we observe martyrs who died 21 years ago on February 24th and 7 years ago on February 23rd the Castro regime is still creating new ones such as Hamell Santiago Mas Hernández. 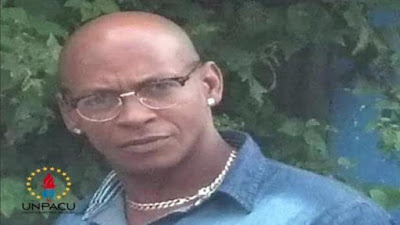 Hamell Santiago Más Hernández, a political prisoner and an activist of the Unión Patriótica de Cuba (Unpacu), died on Friday, February 24, 2017 in the Combinado del Este prison located in Havana. Jose Daniel Ferrer over twitter charged that ill treatment and torture had led to Hamell's untimely death. In the midst of observing the anniversaries of two grave injustices in Cuba last week ( the death of prisoner of conscience Orlando Zapata Tamayo on February 23, 2010 after years of torture, beatings and ill treatment and the February 24, 1996 Brothers to the Rescue shoot down when the Castro brothers ordered the destruction of two civilian planes in international air space killing Carlos Costa, Pablo Morales, Mario De La Peña and Armando Alejandre Jr. Hamell's passing got minimum media coverage. Meanwhile as Latin American democrats were barred from entering Cuba because of their solidarity with Cuban democrats shamefully American members of Congress remained publicly silent about these human rights concerns and focused on engaging in commerce with the Castro regime and military that controls the national economy of Cuba. Both The Washington Post and National Review called them on this lack of solidarity with democrats and appeasement with a communist dictatorship. But what of Hamell Santiago and his family? Another name added to the long list of victims of the Castro dictatorship that too many in the world ignore in order to pursue their business deals with his killers. Sadly this is not unique to Cuba but has also been repeated in China, Vietnam, Iran, Saudi Arabia and elsewhere to the detriment of international human rights standards over the past 15 years. Despite the claims of some apologists for the opening to the Castro regime, Amnesty International in its 2017 country report does not report advances on human rights and notes that Cuba is the only country in the Western Hemisphere that does not allow them to visit. That should not come as a surprise. If they Castro regime can't even tolerate a human rights award ceremony in a private home then how would they tolerate human rights monitoring in their repressive island prison? It also means that there will be more Hamell Santiagos, Orlando Zapatas, Pedro Luis Boitels, and Oswaldo Payás that is not only the price of dictatorship but also of the indifference of too many of the world's democracies. Today, February 27, 2017 at 10:30 am Rosa María Payá delivered to the Ministry of Justice of Cuba an appeal for a judicial review to Maria Esther Reus González, Minister of Justice. In accordance with the procedures of Cuban criminal law, she presented an appeal for a judicial review of the conviction of Angel Carromero for the events that caused the death of her father, Oswaldo Payá, and her friend Harold Cepero. "According to Cuban law, anyone can request a review of a criminal case and I decided to do it not only because Angel Carromero alleged that another car had intentionally hit the car he was driving, but also because the rules of due process were violated when he was prevented from providing expert evidence which would determine if the event was provoked. I submit the request for judicial review to the competent authorities: the Minister of Justice, the President of the Supreme Court and the Attorney General. With this process, the last legal possibility of discussing the case in Cuba is exhausted. By law, one of these authorities must respond within 90 days. 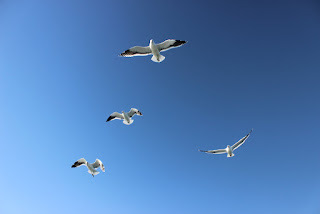 Consequently, we remain waiting, without prejudice to the allegations and with evidence that we will present in various international legal forums. 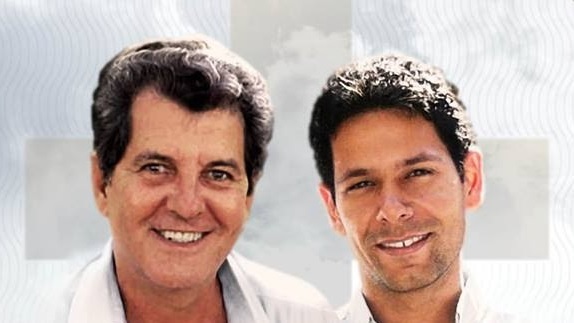 Oswaldo Payá Sardiñas, and Harold Cepero Escalante died under circumstances that point to an extrajudicial killing carried out by the Castro regime's intelligence services on July 22, 2012. World leaders and human rights defenders in 2013 called for an inquiry into deaths of Oswaldo and Harold, among them was South African Nobel Peace Laureate, Archbishop Desmond Tutu. Truth, memory, and justice for Carlos, Pablo, Mario, Armando and their loved ones. 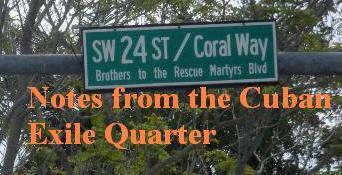 Twenty one years ago today on a sunny Saturday afternoon over the Florida Straits three civilian planes of Brothers to the Rescue engaged in a search and rescue mission for fleeing refugees. 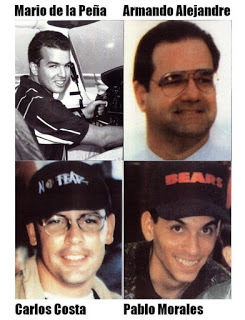 At the same time they were being hunted by two Cuban MiGs and two of the planes were destroyed by air to air missiles on the Castro brothers orders killing four men: Carlos Costa, Pablo Morales, Mario De La Peña and Armando Alejandre Jr. 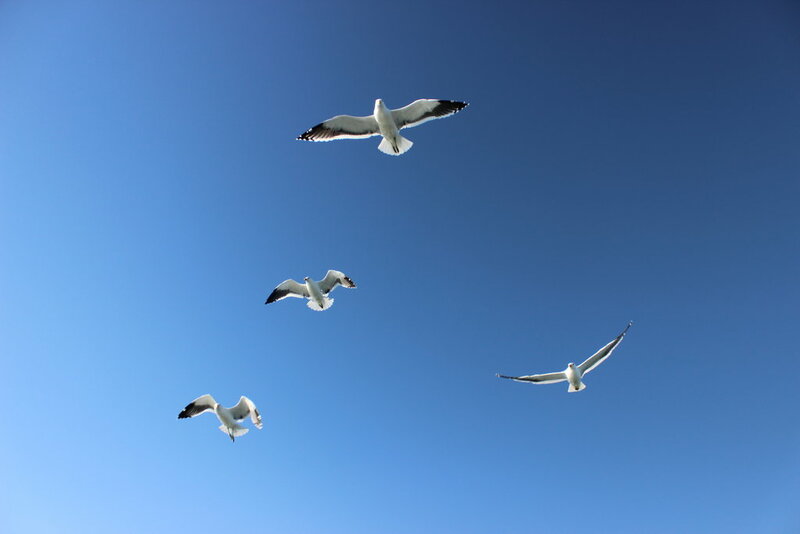 The third plane was able to escape the fate of the other planes and the survivors bore witness to what had happened. Later on it was learned that the Cuban dictatorship had planned this attack months in advance, with the aid of Cuban spies operating in South Florida and that this was an act of state terrorism. The families of the four men have waged a steadfast effort to obtain justice for their loved ones. 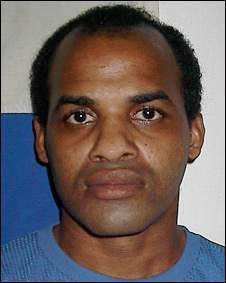 Cuban prisoner of conscience Orlando Zapata Tamayo died on February 23, 2010 after years of torture and a prolonged water only hunger strike in which prison authorities over the course of more than two weeks on and off refused him water. Following his death the Castro regime and its agents of influence sought to slander Orlando's memory. However, activists who knew Orlando had already spoken on the record as had Amnesty International. The slander campaign has failed because people of good will paid attention and refused to remain silent. In Canada, a punk rock band composed and played a song titled Orlando Zapata that placed his death in context. A video accompanying the song was edited by the Free Cuba Foundation. Orlando's death focused attention on Cuban prisoners of conscience and was a factor in their release between 2010 and early 2011. Earlier this morning Luis Almagro, the Secretary General of the Organization of American States reported over social media that he had been denied entry to Cuba by the Castro regime's immigration authorities. He was the third high ranking Latin American democrat to be blocked from entering Cuba in the past 72 hours. A day earlier on February 21, 2017 former Mexican president Felipe Calderón was also told he would not be able to enter Cuba and on the evening of February 20, 2017 former minister and member of parliament Mariana Aylwin, who is also the daughter of the former Chilean president Patricio Aylwin was declared inadmissible by the Castro regime's immigration machinery. The past seventy two hours should have dispelled any notions that the Castro regime has changed. Cuba under General Raul Castro remains a totalitarian communist state that only legally recognizes the communist party, one educational system that it controls, one centrally planned economy that it also controls, regime monopoly over all media, and a communist moral code. Independent grassroots organizations are illegal and critical thought is punished. Hannah Arendt, the political scientist who wrote The Origins of Totalitarianism, in a lecture on the profound difference between authoritarianism and totalitarianism delivered at Oberlin College on October 28, 1954: “If we look at it as a form of government, it rests on two pillars: on ideology and on terror. It is no tyranny because tyranny is lawlessness and because it is content with the political sphere in the more narrow sense of the word.” ...“Authoritarianism in many respects [is] the opposite of totalitarianism." 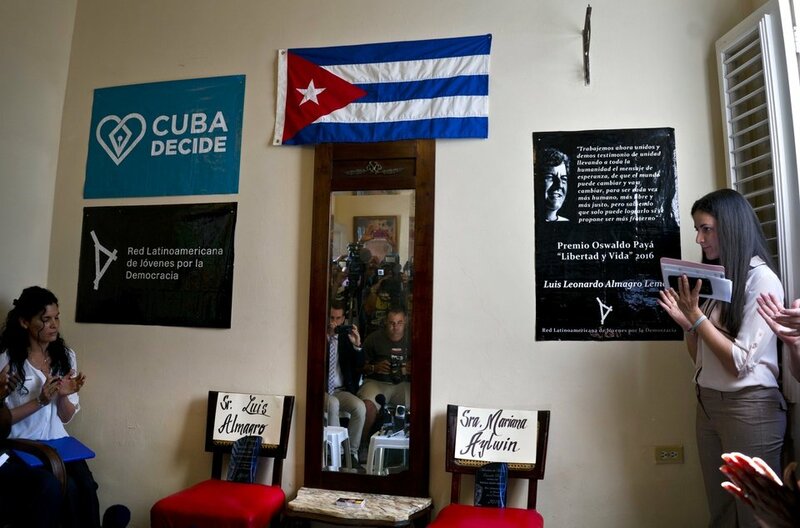 They characterized the activities of “Cuba Decides” as undermining the Cuban electoral system. Presenting a human rights award named after a nonviolent Cuban activist is according to the Castro dictatorship an "anti-Cuban activity" furthermore that the prize "is not recognized by the Cuban state" and "an unacceptable provocation." Finally the "Cuba Decides" campaign for a plebiscite within existing Cuban law according to the dictatorship is "undermining the Cuban electoral system." Cuban citizens cannot independently create a prize and offer it to someone for their good works without the permission and recognition of the Castro regime. Seeking to give Cuban citizens a voice to exercise their sovereignty is considered subversive by the Castro dictatorship. Friends of Cuban Decides following the award ceremony in Havana. The facts of the matter are that the dictatorship does not respect its own constitutional order if it in any way limits the regime. Furthermore dissidents are systematically disenfranchised from the economy to keep them marginalized. Finally there is no freedom of assembly or association and citizen initiatives such as the Varela Project are never aired over the official media which is the only mass media on the island. This is why some in the opposition have to seek funds outside of Cuba and access to international media with the hope that it will bounce back into the island. Nevertheless the dangers of dissent far outweigh any benefits as the untimely deaths of Oswaldo Payá Sardiñas and Harold Cepero Escalante would demonstrate and still need to be investigated five years later. Communist regimes have a century long track record of killing dissidents and Cuba is no different, but it is important to remember that there are two types of executions. Thousands have been placed against the wall and executed by firing squad in Cuba, others have been victims of extrajudicial killings using a variety of methods ranging from poison, car "accidents", drowning or a shot in the back. However there is what Cuban writer Carlos Alberto Montaner called the "other wall" and subtitled it "the assassination of character in Cuba" and his presentation in Spanish is available online that describes the killing of reputations. Even worse Cuban dissidents have been subjected to both types of execution. The case of Orlando Zapata Tamayo, an Amnesty International prisoner of conscience, who died on February 23, 2010 is a case in point. He was beaten down repeatedly and tortured over seven years in Cuban prisons for his human rights activism. Orlando Zapata Tamayo had collaborated on the Varela Project with Oswaldo Payá and engaged in human rights education campaign with Dr. Oscar Elías Biscet. 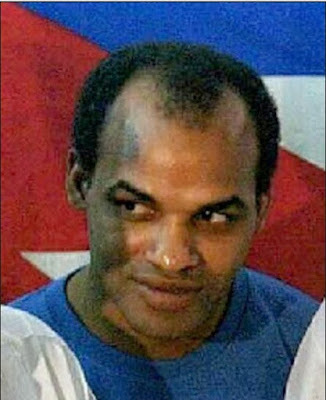 His death while on hunger strike drew international attention and led to a posthumous campaign of slander by Castro regime agents to deny Orlando Zapata's history as an activist seeking to portray him instead as a violent criminal. Today while taking part in a television program I heard first hand this execution by character assassination by a Castro regime apologist. The attack to slander and destroy the reputation of Rosa Maria Payá using logical fallacies is underway. Under the vast majority of moral and ethical systems the ad hominem attacks, slanders and libels directed against Rosa are profoundly evil. "The class struggle is continuing and it is our task to subordinate all interests to that struggle. Our communist morality is also subordinated to that task. We say: morality is what serves to destroy the old exploiting society and to unite all the working people around the proletariat, which is building up a new, communist society." ... "I pointed out that, as good Marxist-Leninists, the Soviet leaders have openly and publicly declared that the only morality they recognize is that which will further their cause, which is world revolution. I think I should point out I was only quoting Lenin, their guiding spirit, who said in 1920 that they repudiate all morality that proceeds from supernatural ideas -- that's their name for religion -- or ideas that are outside class conceptions. Morality is entirely subordinate to the interests of class war. And everything is moral that is necessary for the annihilation of the old, exploiting social order and for uniting the proletariat." This is Machiavelli's the ends justify the means on steroids. Communist morality views revolution via class struggle as a moral imperative while at the same time dismissing traditional moral and ethical systems based in metaphysical absolutes as an instrument to control the working class. The outcome of this morally flawed system has been over a 100 million killed and counting, generations living in misery and the emergence of totalitarian dictatorships the world over preaching egalitarianism but delivering hardship and slavery to billions. Today marks four years and seven months since Oswaldo Payá Sardiñas, and Harold Cepero Escalante died under circumstances that point to an extrajudicial killing carried out by the Castro regime's intelligence services. It will also mark the presentation of the the first Oswaldo Payá Liberty and Life Prize in Havana in an event organized by the Latin America Youth Network for Democracy and the Cuban citizen initiative Cuba Decide. This award ceremony will recognize both Mr. Luis Almagro, Secretary General of the Organization of American States and, in a posthumous manner, Don Patricio Aylwin with an honorable mention that was to be received in his name, by his daughter, the former member of parliament and former Chilean minister, Mariana Aylwin. However the Castro regime denied her entry to Cuba at the last moment. Nevertheless the ceremony will take place Wednesday, February 22, at 11:00 am at the Payá residence located at: 221 Peñón Street, between Ayuntamiento St. and Monasterio St in Havana, Cuba. This is taking place amidst a massive state security operation that seeks to silence Rosa María Payá shutting off her cell phone and limiting her internet access. The dictatorship has even generated an international crisis refusing for the first time to allow a former Mexican president, Felipe Calderon, to enter Cuba. Independent journalists and activists on the island have been detained or denied access to transportation in order to impede their covering or attending the award ceremony in Havana. These tactics are not new and have been applied to other activists such as the Ladies in White. The question that arises observing all these regime machinations is why? 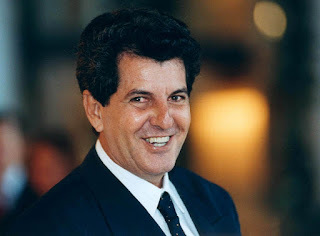 Consider for a moment Oswaldo Payá Sardiñas never advocated violence, rejected hatred, organized a petition drive for democratic reforms that fell well within the legality of the Castro regime. Nevertheless, he was the victim of harassment, death threats, and an untimely death. Why is the Castro regime behaving this way? The answer is that paradoxically totalitarian regimes are quite resilient at confronting and crushing a violent resistance, but nonviolent resistance and speaking truth to power are existential threats to that kind of dictatorship. "Let the silenced bells toll. But let them toll for all the victims of terror that in reality is only one sole victim: the Cuban people that without distinctions, suffers the loss of each one of their children." For decades the regime has sought to divide Cubans inside and outside of the island. It is a very old tactic that goes back millennia: divide and rule. Oswaldo Payá shattered the artificial division recognizing that "Cubans in the Diaspora and those of us who live in Cuba, are one people, victims of the same oppressive regime and we have the same hope and the same claim to liberty." This trip can have 3 results: 1) Cuba acts with authoritarian practices as always and tries to prevent the trip of Latin American politicians on the one hand and on the other, stops and threatens Cuban activists to prevent them from attending the awards ceremony. The event can not be done or at least not with all the guests as planned because the Government of Cuba violated the fundamental right of assembly. 2) The Cuban Government does not repress, does not threaten the guests neither foreigners nor Cubans and the meeting is carried out successfully. 3) The Cuban government is pleased with the visit of Almagro and takes advantage initiating the dialogue required for its reintegration to the OAS. Strictly defined, a totalitarian regime is one that bans all institutions apart from those it has officially approved. A totalitarian regime thus has one political party, one educational system, one artistic creed, one centrally planned economy, one unified media, and one moral code. In a totalitarian state there are no independent schools, no private businesses, no grassroots organizations, and no critical thought. “If we look at it as a form of government, it rests on two pillars: on ideology and on terror. It is no tyranny because tyranny is lawlessness and because it is content with the political sphere in the more narrow sense of the word.” ...“Authoritarianism in many respects the opposite of totalitarianism." The first victory we can claim is that our hearts are free of hatred. Hence we say to those who persecute us and who try to dominate us: ‘You are my brother. I do not hate you, but you are not going to dominate me by fear. I do not wish to impose my truth, nor do I wish you to impose yours on me. We are going to seek the truth together’. The opposition leader in this speech and by the example of his life rejected the product of terror which is fear and embraced the pursuit of truth that transcends shallow ideology. This is why the dictatorship still fears Oswaldo Payá and these ideas because they threaten the very pillars of totalitarianism in Cuba. Totalitarianism is rooted in death and subjugation and Oswaldo Payá advocated and embodied the opposite for a lifetime celebrating while at the same time defending life and liberty. Friends of freedom the world over should honor this man and share his writings because they remain relevant today. 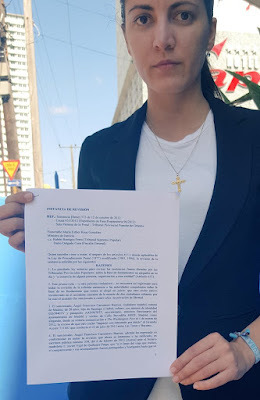 Our solidarity with the Latin American Network of Youth for Democracy and its president Rosa María Payá, daughter of the late Christian Democrat leader Oswaldo Payá, before the decision of the Cuban authorities to prevent the ceremony of awarding the Oswaldo Payá Prize in Havana. We support the initiative of young Latin Americans whose main objective is to recognize the former President of Chile Patricio Aylwin and the Secretary General of the Organization of American States Luis Almagro for their commitment to democracy and human rights. We protest the decision of the Cuban authorities to ban the entry of former Mexican President and former ODCA Vice-President Felipe Calderón, who was traveling as a special guest, and former Chilean Minister of Education Mariana Aylwin, who was traveling to receive the posthumous award for the former Chilean president. Our solidarity with former minister Mariana Aylwin and former president Felipe Calderón and we value the formal protest of the governments of Chile and Mexico, since the measure of the Cuban government is unacceptable for the terms of respect and reciprocity that must exist between States that maintain diplomatic relations and consular posts. ODCA reiterates its historic position in favor of the respect for the human rights and public liberties of the Cuban opposition seeking to peacefully promote a process of democratization in Cuba, a struggle historically promoted by Christian Democratic leaders such as Oswaldo Payá, who died in 2012 under unexplained circumstances. ODCA subscribes to the words of the former president of Mexico and former vice-president of ODCA, Felipe Calderón, who, being prevented from traveling, declared: "I yearn and I pledge to fight so that one day all Latin Americans can live in Freedom, Justice and Democracy". Former president of Mexico Felipe Calderón banned from entering Cuba by the Castro dictatorship's immigration authorities announced the news in a series of tweets on February 21, 2017. 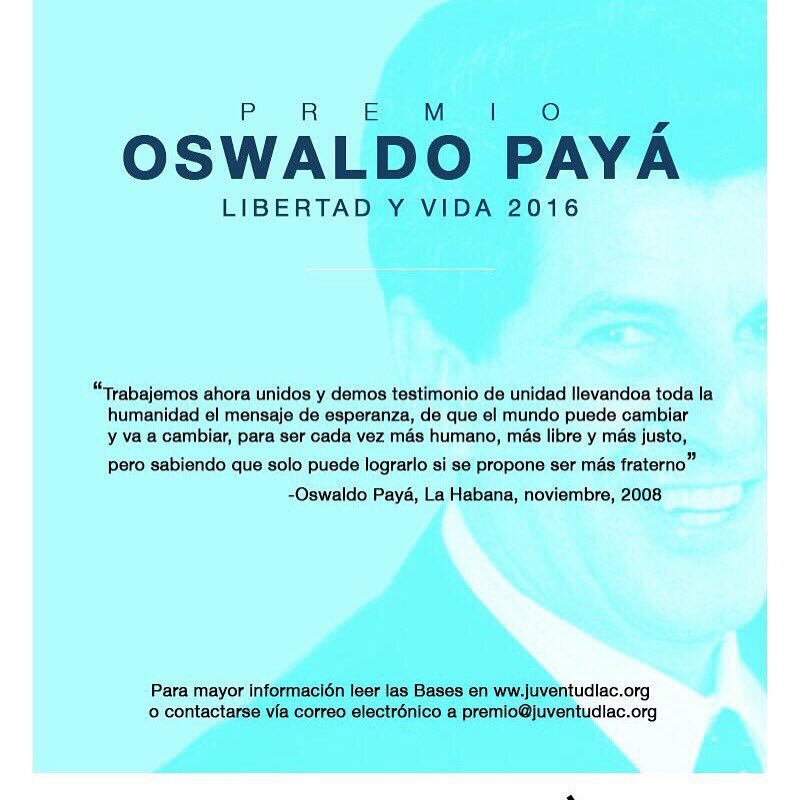 First that "I am also invited to the anniversary of the death of Oswaldo Payá. I ask the Cuban government to rectify this absurdity and allow us to remember it. In a later tweet embedded below cited AeroMexico: "We are informed by Immigration of Cuba that FCH passenger is not authorized to enter Cuba and requests that he not be documented in flight AM451." This is the first time that a former Mexican President has been denied entry to Cuba reports journalist Joaquín López-Dóriga. Other high ranking officials from Latin America have also beeen barred from entering Cuba. Last night, February 20, 2017 at 9:15pm, Mariana Aylwin, daughter of the former Chilean president Patricio Aylwin tweeted "I can not embark to Cuba because of a ban issued by immigration from Cuba." A short while later Rosa María Payá posted the document prohibiting Mariana from traveling to Cuba by order of the Castro dictatorship's immigration department. "Please don't invoice or send passenger who is inadmissible in Cuba. Information issued by Cuban immigration"
Rosa María Payá Acevedo returned to Cuba on February 15, 2017 to receive Luis Almagro, the Secretary General of the Organization of American States at her home a week later on February 22, 2017 at 11:00am in Havana, Cuba. The purpose of the encounter is the presentation of the annual Oswaldo Payá Liberty and Life Prize to Luis Almagro also present at the ceremony will be Mariana Aylwin, daughter of the former Chilean president Patricio Aylwin who will receive the posthumous award on behalf of her late father. Patricio Aylwin was the president who oversaw the democratic transition in Chile following General Pinochet's military rule and passed away on April 19, 2016. 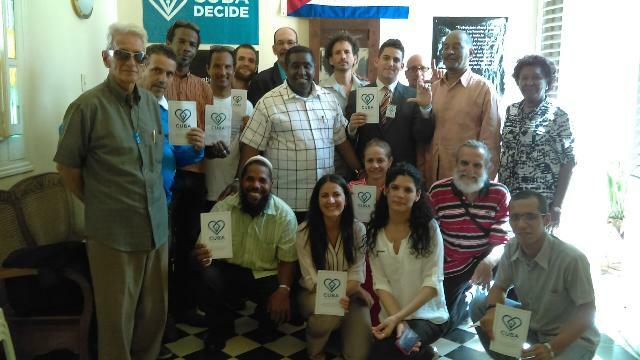 Unfortunately the repressive nature of the regime was already on display with Julio Álvarez and Félix Fara two promoters of the Cuba Decide initiative, a campaign for a plebiscite led by Rosa María Payá Acevedo, were taken and have been under arrest since February 18, 2017 at 11:00am. In addition communication has become much more difficult with the telephones out of service and all matter of obstacles to prevent that the information surrounding this event be made known inside Cuba. Despite this there is optimism that the word has gotten out and that civil society will be well represented on Wednesday. First sign a petition supporting this event and secondly let others know what is happening and encourage them to follow Rosa Maria over twitter, demand the release of Julio and Félix, the restoration of communications, and keep an eye out between now and February 22nd and follow the awards ceremony in real time. This event is being hosted by Cuba Decide and the Latin American Youth Network for Democracy. The Castro dictatorship shows no indication of opening up and the denial of entry to President Patricio Aylwin's daughter is an outrage. Will it be repeated with OAS Secretary General Luis Almagro? We must be vigilant and hold the regime accountable for what it does next. 12:15 Do Human Rights Matter?